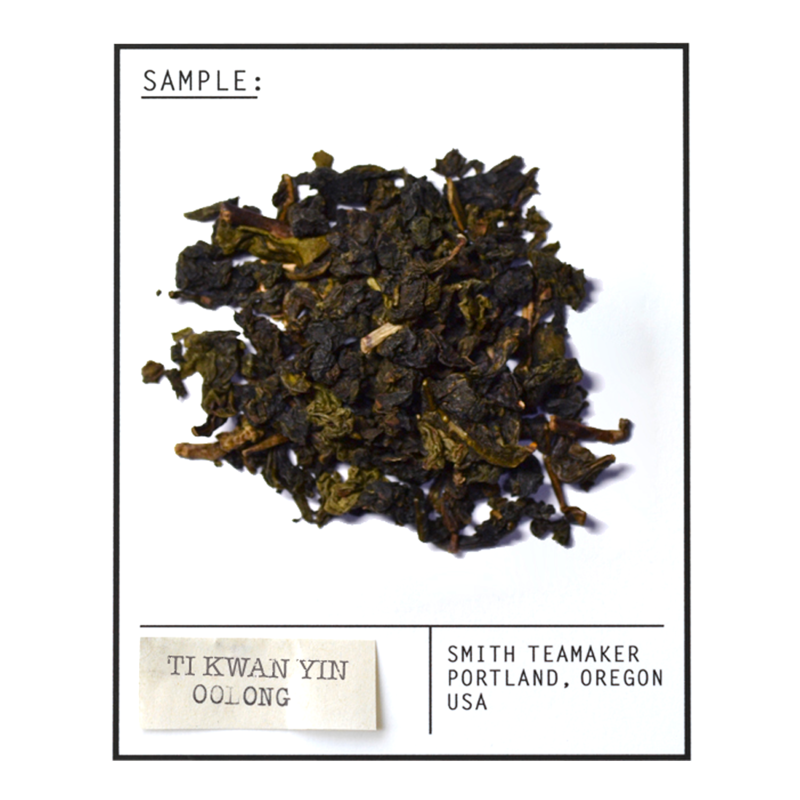 Also known as the "Iron Goddess of Compassion," Ti Kwan Yin is one of China's most popular oolongs. These tightly-rolled little nuggets are produced in a 36-step process that lets them gradually unfold to release their subtle flavors over as many as 10 steepings. The number of separate rolling processes involved to produce this magnificent tea. Full leaf oolong tea from Fujian Province, China. For best flavor, bring spring or freshly drawn filtered water to 190 degrees. Steep three minutes. Save nuggets for future cups. Also known as the "Iron Goddess of Mercy", Ti Kwan Yin is one of China's most famous oolongs. This tea is tightly-rolled into a ball shape through an elaborate process, that when steeped, allows them to gradually unfurl, releasing a rich flavors over multiple steepings. Fujian Province is one of the most famous tea growing regions located on the southeast coast of China. Black, white and oolongs teas are all thought to have originated from this province. With Taiwan so close in proximity, there has been much sharing of knowledge between the two in terms of tea plants and production. Oolongs have two harvest seasons, in late spring and fall.